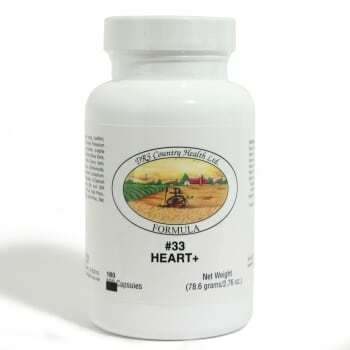 A special multi vitamin formula that may help normalize heart functions. The heart is one of the most important organs in the entire human body. It is really nothing more than a pump, composed of muscle which pumps blood throughout the body, beating approximately 72 times per minute or 103,680 times per day, and it pumps 2.4 ounces per beat or approximately 1900 gallons per day. The heart pumps the blood, which carries all the vital materials which help our bodies function and removes the waste products that we do not need. If the heart ever ceases to pump blood, the body begins to shut down and after a very short period of time will die. According to these statistics, should we not give special attention to a wonderful organ and provide it the nutrition it needs? The new CHF #33S formula has added new vitamins and herbs to the CHF #33 heart formula that is used by so many of our clients. Not only may it help the heart, vascular and circulation, but now has more added benefits of Co-enzyme Q10, bioflavonoid, L-argentine, L-carnitine, lecithin, magnesium, selenium, L-taurine, hawthorn berry, potassium, alpha lipoic acid, L-glutamine, and calcium. These added supplements may further help to supply nutrients to the heart and vascular system. 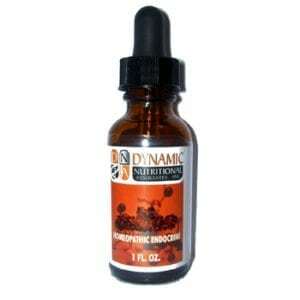 DESCRIPTION: A special formulation utilizing a multiplicity of micronutrients. INDICATIONS: Use CHF #33 for a balanced nutritional support for the Heart and Vascular system. OTHER INGREDIENTS: Gelatin* (capsule), Magnesium Silicate (lubricant), Magnesium Stearate (Lubricant). SUGGESTED USE: As a dietary supplement, nine (9) capsules daily, or as directed. NOTICE: This dietary supplement is manufactured in a facility that also uses derivatives of Milk, Fish, Shellfish, Tree Nut, Wheat, and Soy.